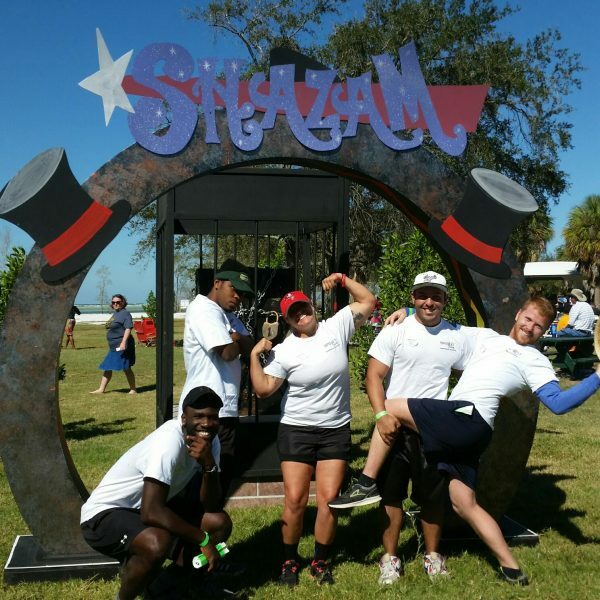 This is another one of our great theme corporate picnics – The Shazam Magic Theme. 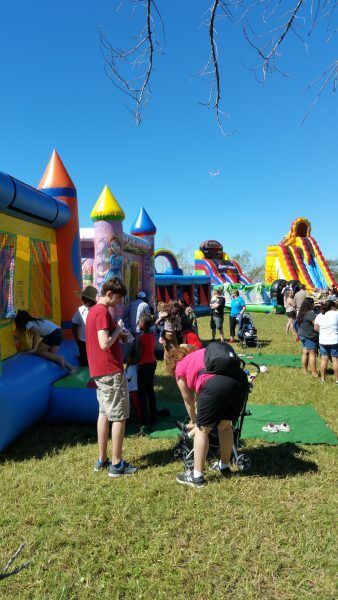 1400 guests enjoyed food, fun and great activities. 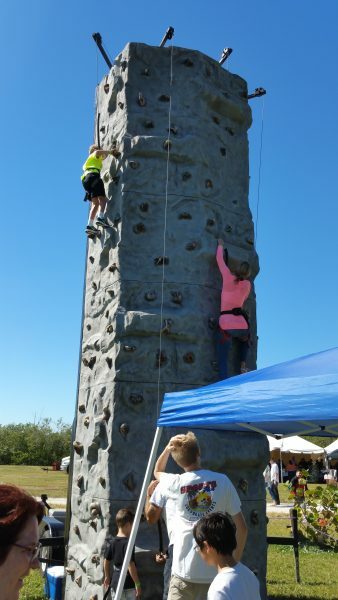 Activities included a putt-putt course, dodge ball tournament, rock climbing wall and 5 large inflatable slides and bounce houses. We gave away a 55″ flat screen screen TV and guests enjoyed the famous Money Machine with over $500.00 in cash! The menu was one of our favorites; BBQ chicken, pulled pork, picnic side dishes, brownies, cookies, ice cream and concessions. Our BBQ meats are cooked fresh on site and the buffet remains fully stocked throughout the picnic period. We installed a 60’x60′ dining tent, a 15’x30′ tent over a stage for the 4 magicians and their live performances and other live entertainment as well as a staffed registration tent and 12 caricature artists under a 20’x20′ tent. We also had a large concessions tent for pop corn, cotton candy, ice cream and snow cones. We gave away a 55″ flat screen screen TV and guests enjoyed the famous Money Machine with over $500.00 in cash! The location, Ft. DeSoto Park, is a true treasure and a destination location for any size corporate picnic. Great beaches, excellent parking and superb support facilities. Contact us for your next “perfect corporate picnic”. We are planning a company event late Oct or early November for approximately 200 people. Do you have any suggestions? Please advise. Thank you.